At Galleria Dental, our goal is to provide a comfortable, professional environment that allows you to relax so your dentist near 77027 can do his or her best work. And that work is to give you the cleanest, whitest, healthiest smile possible. 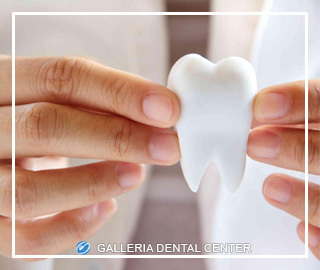 Galleria Dental is proud to employ a team of high quality dental experts proficient in a variety of areas, including general dentistry, cosmetic dentistry, endodontics, orthodontics, and oral and maxillofacial surgery. When you schedule an appointment to our dental office, you’ll be matched with an experienced, professional dentist near 77027 who will employ cutting edge technologies and techniques. Our dental team is equipped for anything from a routine dental exam or cleaning to a dental implant procedure to install a bridge or a crown. Whatever your particular dental needs may be, Galleria Dental can fulfill them! Your dentist near 77027 is qualified to diagnose current and potential dental problems and develop a solution that will result in sustained oral health. In addition, you’ll receive the boost of self confidence that comes from having a bright, beautiful smile. It’s both our honor and pleasure to bring such joy into the lives of our Galleria Dental patients—we look forward to doing the same for you soon! Visit Our Galleria Office Today! In short, Galleria Dental is the place to be if you’re looking for a world-class dentist near 77027. With our dedicated staff of dental experts and state-of-the-art equipment, our Richmond Avenue dental office has everything you’d want from an oral health standpoint. But don’t just take our word for it: contact us to schedule an in-person visit. You’ll be glad you did!